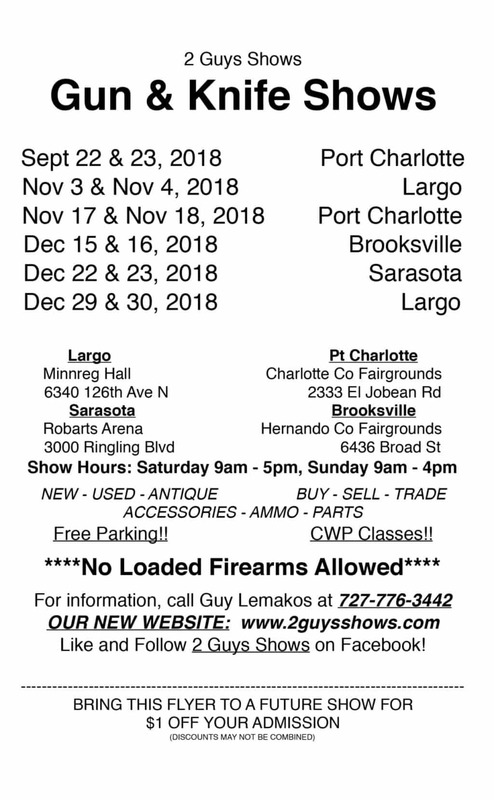 The 2 Guys Clearwater Gun Show currently has no upcoming dates scheduled in Clearwater, FL. This Clearwater gun show is held at Polish Center of John Paul II and hosted by 2 Guys Shows. All federal, state and local firearm ordinances and laws must be obeyed. Concealed Weapons Permit Classes Available, please call for schedule.